You will be equipped with skills for diverse professional careers. Explore a range of contemporary issues in climate change, environmental sustainability and the global impact of human activity. Your understanding of key processes in glacial, desert, river and coastal landscapes will be developed using teaching that includes international residential fieldwork, laboratory work, tutorials, information and communications technology (ICT) and geographic information systems (GIS). You can also choose to take a placement year in industry. You'll be equipped with skills for diverse professional careers including environmental consultancy, conservation and biogeography, earth science and hazard management, expedition work, and catchment management. Our location in the South West of England offers an excellent quality of student life and the chance to study a range of geographical issues. Plymouth is a vibrant city with a waterfront location, contemporary retail and cultural scenes, and many historic sites, including The Hoe (where Sir Francis Drake played bowls) and The Barbican (the old heart of town). 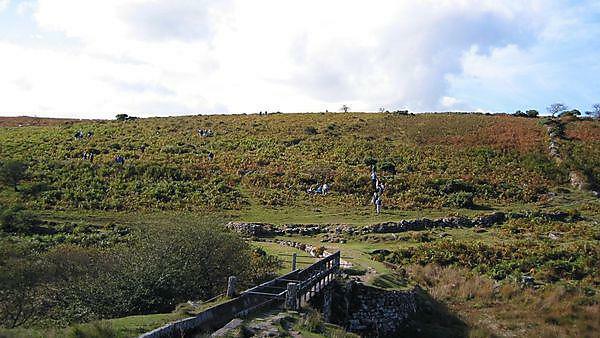 It is bordered by Dartmoor National Park as well as the Tamar Valley and South Hams Areas of Outstanding Natural Beauty. Devon and Cornwall have glorious beaches, coasts, rivers and estuaries. The mix of town, country and coast makes Plymouth the ideal place to study geography. Fieldwork is recognised as a very important part of a geography degree. It allows you to experience phenomena in the ‘real world’ and put into practice what you have learnt in lectures, laboratory sessions and tutorials. The excellence of our fieldwork programme at Plymouth was recognised by the government’s £4.85 million investment in our Experiential Learning CETL, the only one of its kind in the UK. In addition to local field visits associated with specialist modules, residential fieldwork is built in to the first two years of your degree. Year one - a four-day trip to Bath provides an excellent first opportunity to develop your geographical field skills. It is also a great introduction to university-level geography, and an opportunity to get to know other members of your group and academic staff. Year two - put your research methods training in practice on a residential field course to one of a range of exciting destinations around the world. Recent trips have run to Australia, Belize, Borneo, China / Hong Kong, France, Iceland, Ireland, Morocco, Portugal, Sweden and the United States. The trips involve both student-led and staff-led work, and allow you to sharpen your research and transferable skills while you investigate in the field issues you have learnt about at the university. At least one of the trips each year is a ‘zero-cost’ option covered by your course fees; the remainder attract a supplement that varies by destination. Final Year - depending upon the modules chosen, there are opportunities for local fieldwork visits in support of these advanced courses. We also have soil and sediment preparation facilities, environmental monitoring equipment for both field and laboratory analysis, extensive field equipment and specialist analytical instrumentation. All single and combined major honours geography students have a personal tutor. Your tutor provides support and guidance whenever it is needed and in your first year will hold weekly group discussions focusing on your academic work programme. In your final year, you will also have a member of staff assigned to provide support for your dissertation research. There is a network of university support services to ensure that you make the most out of your time at Plymouth. For example, health care facilities, counselling service, chaplaincy, Student Funding Unit and childcare provision. This guide indicates the balance between formal examinations and coursework at each stage of the geography course, although specifics are determined by the combination of modules you study. Year one - approximately 83 per cent coursework and 17 per cent examination. Year two - up to 25 per cent examination, remainder coursework, depending on module choice. Year three - up to 17 per cent examination, remainder coursework, depending on module choice.